Richard Rubin says she would be on his secretary of the Treasury short list. (Bloomberg) — The woman in charge of Barack Obama’s health care overhaul is counting down the days: She has 414 to go in the Obama administration. 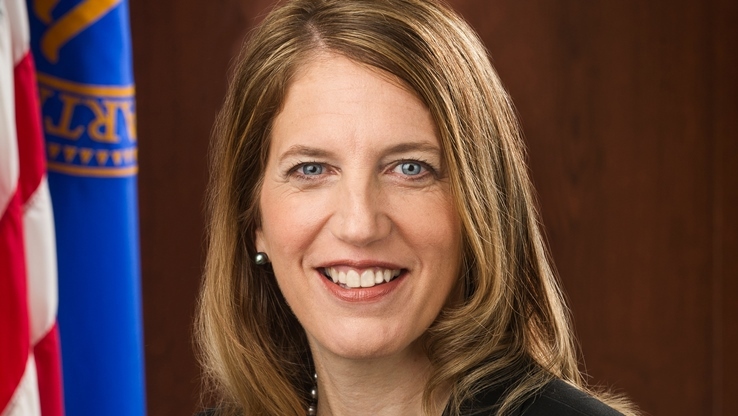 Sylvia Mathews Burwell, secretary of the U.S. Department of Health and Human Services (HHS), is trying to cram in what she can, while she can, as she works to secure the fate of the president’s signature domestic policy accomplishment, the Patient Protection and Affordable Care Act (PPACA). Opponents called the law “Obamacare.” The Obama administration refers to the package that includes PPACA and a sister law, the Health Care and Education Reconciliation Act of 2010 (HCERA), as the Affordable Care Act (ACA). See also: Sylvia Mathews Burwell: The next HHS secretary? Meanwhile there’s the presidential election looming, with Republican candidates who want to repeal PPACA ready to spotlight any stumble. On Thursday, the Republican-led Senate voted to repeal key parts of the law, underscoring the ongoing opposition. How Obamacare performs in the next 12 months could determine its fortunes. Individuals are now signing up for health insurance for the third time in the new markets created by the law. And while the main insurance shopping website has overcome the glitches that plagued its rollout, it’s still not smooth sailing for the ACA. Premiums are going up 10 percent or more in many markets, though about 84 percent of customers get subsidies to help them afford coverage. Burwell herself has said enrollment may not increase as much as some had expected. Burwell acknowledged that people have had some trouble picking the right policies, with some deciding based mainly on how expensive policies were, rather than on what’s covered. To help, the government is now adding to its shopping website estimates of how much an individual should expect to spend in total under different plans, giving a better idea of what out-of-pocket costs will be. Meanwhile, some insurers have struggled to make a go of it financially. Twelve of the 23 nonprofits set up by the law are failing. UnitedHealth Group Inc. (NYSE:UNH), the largest U.S. health insurer, has warned it may withdraw from ACA marketplaces because it can’t make money. Health care stocks have more than doubled since Obama signed the act, buoyed by millions of new customers with health policies bought with ACA subsidies, and shares of insurers like UnitedHealth have tripled. Yet investors have become more jittery recently, amid signs the health law’s gains are slowing, or even reversing. Hospital-stock volatility is the highest it’s been since late 2011, and managed-care-stock volatility has shot up as well. She said that about 17.6 million people gained coverage under the law who otherwise wouldn’t have it. That includes the expansion of Medicaid coverage to more low-income people, and children who are allowed to stay on their parents’ policies longer than before the ACA. For adults, the uninsured rate has fallen to about 11.6 percent, from 17.1 percent just before the law went into effect. A provision of the law that requires companies to give workers health insurance had been derided as a job killer. A Bloomberg review of company conference-call transcripts and interviews with major U.S. employers found that, instead, it’s turned out to be not much of a burden at all. Beyond the coverage expansion, the law is changing how care is paid for and delivered in the U.S., Burwell said. It’s pushing doctors and hospitals to collaborate more closely and to improve the quality of the care they deliver. Government actuaries estimate that health care spending in the U.S. will rise by about 5.8 percent annually through 2024. It increased an average of 6.9 percent a year in the decade before the law was passed. When asked whether she might be the first female Treasury secretary, the woman who gets to sign the $10 bill that will feature a woman, Burwell laughed for a moment before answering. Burwell replaced Kathleen Sebelius, the former Kansas governor who oversaw the troubled early days of the health law. For just more than a year before that, she led the OMB. Those were her first Washington posts since she served all eight years in Bill Clinton’s administration, starting at the National Economic Council, before becoming Rubin’s chief of staff at Treasury and then deputy director of OMB under Lew. In between the Clinton and Obama administrations, she ran the global development program at the Bill & Melinda Gates Foundation and was president of the Walmart Foundation. She graduated from Harvard University with a degree in government and studied philosophy, politics and economics at Oxford University as a Rhodes Scholar. In an on-stage interview with Carlyle Group founder David Rubenstein at the Economic Club of Washington, Burwell said she’d learned a few lessons from her foundation work. One, she said, was to define, at the start, the goal of a project.